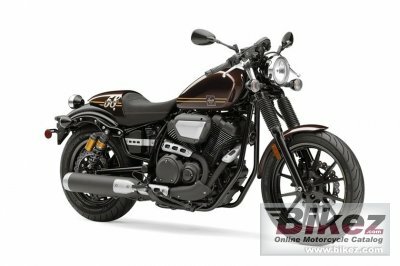 2017 Yamaha Bolt C-Spec. Picture credits - Yamaha. Submit more pictures. The Bolt� C-Spec epitomizes the cool �Caf� style popular across the globe since the 1960�s. Bolt C-spec features caf� styling with original Star V-twin performance and includes clip-on handlebars, traditional fork boots, a removable passenger seat cowl, and sporty caf� paint and graphics that makes the Bolt C-Spec ultracool. Price as new (MSRP): US$ 8690. Prices depend on country, taxes, accessories, etc. Ask questions Join the 17 Yamaha Bolt C-Spec discussion group or the general Yamaha discussion group. Bikez has discussion forums for every bike. View comments, questions and answers at the 2017 Yamaha Bolt C-Spec discussion group. You can sign up for e-mail notifications when other riders answer you. If you have extensive experience with the MC, please send us a review. If you consider buying this bike, you should view the list of related motorbikes Look at photos. Compare technical specs. And check out the rating of the bike's engine performance, reliability, repair costs, etc. You can compare the rating with other bikes.